Actually, this isn't so much a review as a complaint. What has all the trappings of a new book on Saudi Arabia in the aftermath of the Kuwait War turns out to be - read the preface carefully - a reprint of Abir's 1988 study published by Westview Press, Saudi Arabia in the Oil Era: Regime and Elites; Conflict and Collaboration (reviewed in less than glowing terms in ORBIS, Summer 1988). 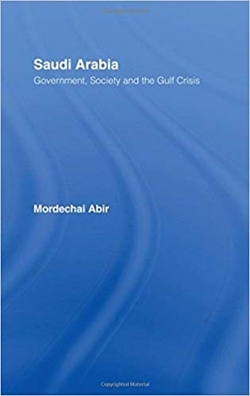 Admittedly, Abir has tacked on a final section dealing with the events of 1990-92, but it's the same book sold in a new cover, and that strikes this reviewer as wrong. It's also a growing practice. Only the sharp-eyed will notice that Charles Warren Hostler's The Turks of Central Asia (Westport, Conn.: Praeger, 1993) is an updated edition of that old and valuable friend, Turkism and the Soviets (London: George Allen and Unwin, 1957). Again, the new volume has all the trappings of a new study but it is not; worse, developments of the past thirty-six years appear in the book only haphazardly and inconsistently. William R. Polk's United States and the Arab World has done even better than these volumes, having by now gone through three titles. That original name held for the first editions of 1965, 1969, and 1975. The fourth edition came out as The Arab World in 1980 and the fifth appeared as The Arab World Today in 1991. What's going on here? Let's go back to the old formula of keeping the original title and adding "revised edition": that way, no one feels he's out $59.50 for a book already on the shelf.